So if you guys read last weeks blog post you will have read my sneaky teaser to say what was coming this week! Well it’s finally here and I’m so happy to share some incredible images (Thanks Abbie!) of my ‘Mini Poppy‘ satchel bag gifted to me from The Cambridge Satchel Company, never mind gifting me with a utterly stunning bag it’s personalised so I’m the only gal in the world to own it! 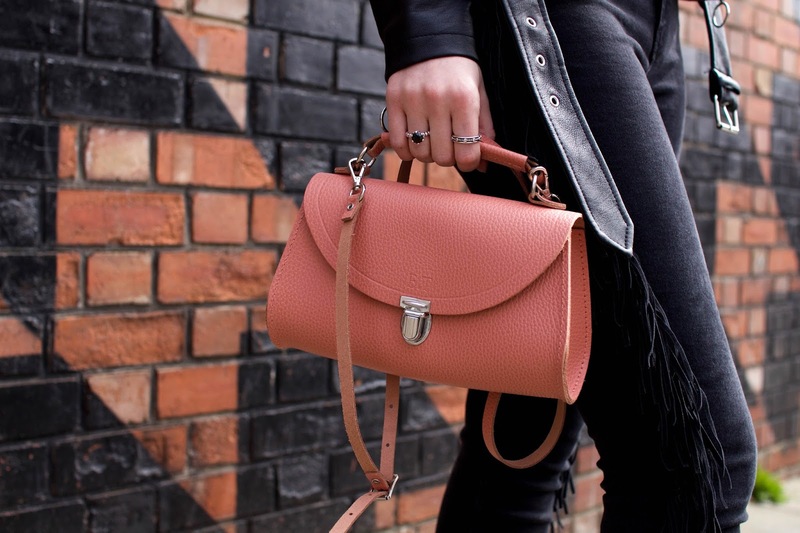 Huge thank you to The Cambridge Satchel Company and My Bag Online for inviting me to their wonderful afternoon tea, read all about it HERE and of course huge thank you for the wonderful satchel too! A bag I’d never pick for myself but something I’ve always wanted. I always thought it would be something I’d buy and never use because I’d never know how to style it! But I love what I wore with it and it’s styled in a non traditional way. 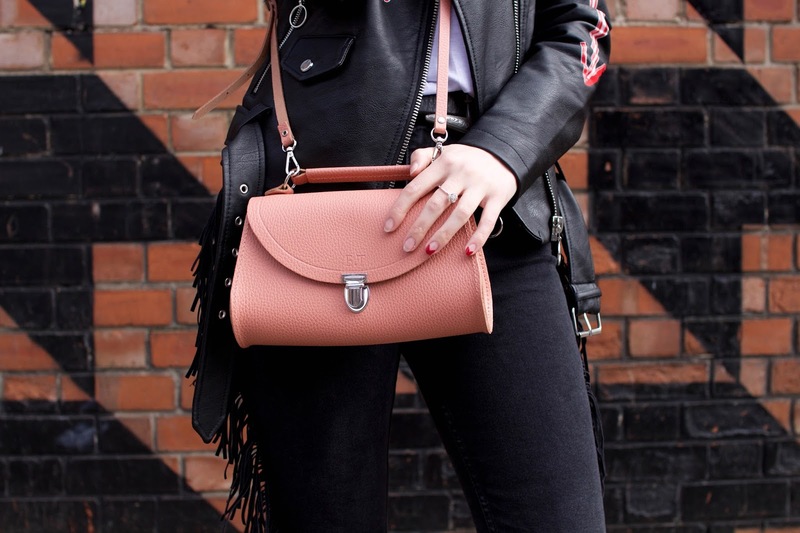 Given my satchel a little western flare pairing it with tassel jeans (Zara) adding my studded choker (Topshop) for a 90s yet still kind of western feel. 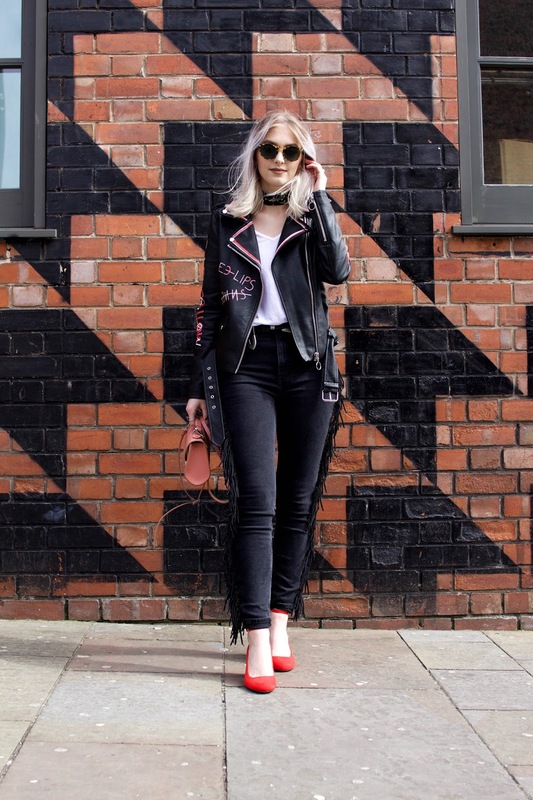 Paring this with a 90s graffiti jacket and a pair of petite red dolly shoes from Primark. Now in all honestly this sounds like another wardrobe malfunction from me doesn’t it? Now some may stick with this thought however, I am literally in LOVE with what I wore it with. I think the clash of decades yet colour scheme made it a marmite outfit! An I’m totally okay with this. Pink right now is a colour I’m craving! 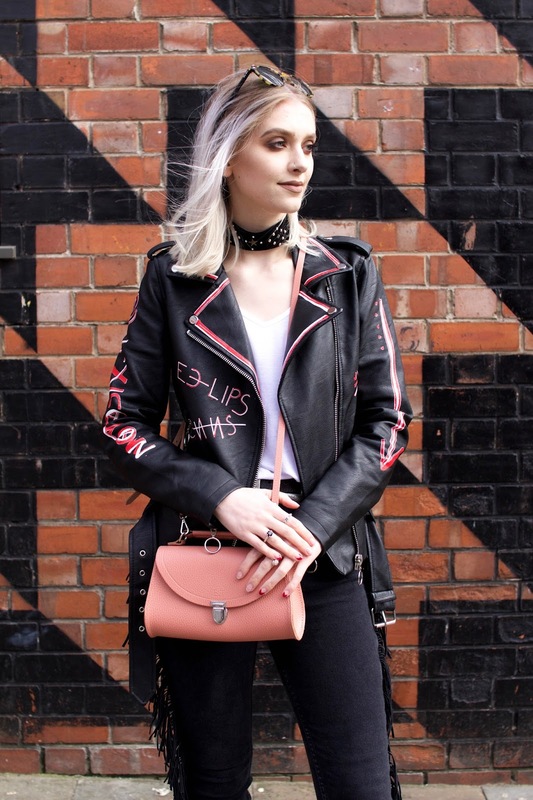 I used to love it when I was a lot younger and then I grew up and thought black was the only colour for me but after seeing this bag it’s helped me fall back in love with the colour everyones wearing! 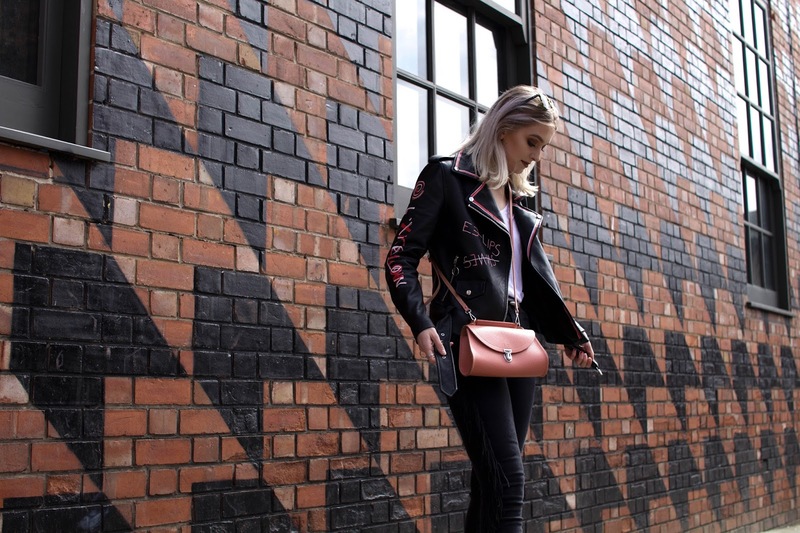 I think it’s a match made in heaven with red too, I know a lot of people think that is a huge fashion faux paus but for me its dreamy much like my mini poppy! Previous Post Afternoon Tea With My Bag Online!